I almost felt like a new grandma seeing her first grandchild being born. Well maybe not quite but it was pretty exiting. 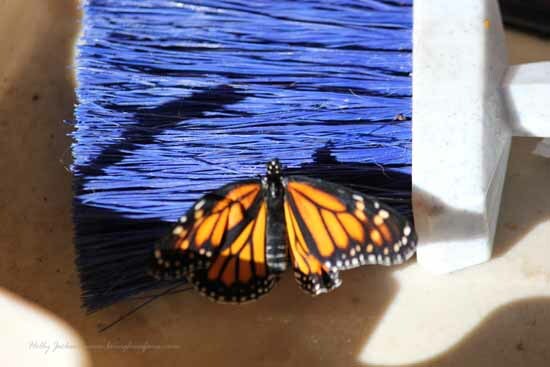 The was my second chrysalis that had formed. The first chrysalis has hung for about 5 months and I think it is a goner. 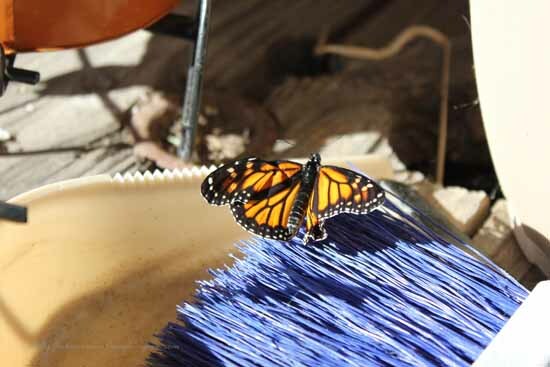 I have researched so many websites about monarch butterflies just trying to figure out what is normal for it’s life cycle. This is the first chryslis from the caterpillar I adopted from a plant at work. I watched it every day and when the caterpillar began to form the J shape I was ecstatic! 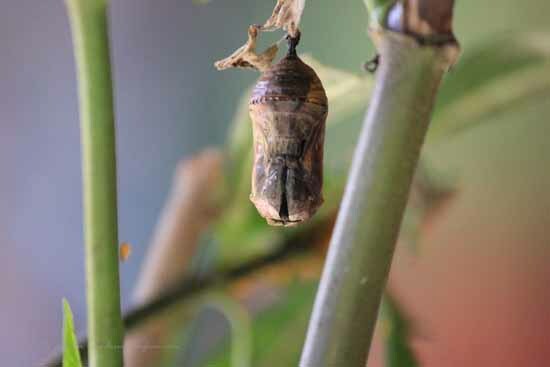 After I found out through my research (along with my Mom and Aunt doing their own research) that butterflies can make a type of “antifreeze” making it easier to survive the cold nights, I felt there might be hope for my first chrysalis after all; however I wondered why it was taking so long for it to emerge after its’ green shell transformed to a clear shell. The longer it hung on the plant the drier it started to look. It was about 2 1/2 months that it lingered until it finally got a crack on the outer casing. This didn’t look good for the guy. It seemed to dry up inside. January brought some pretty cold nights in Ojai so it must have taken its toll. 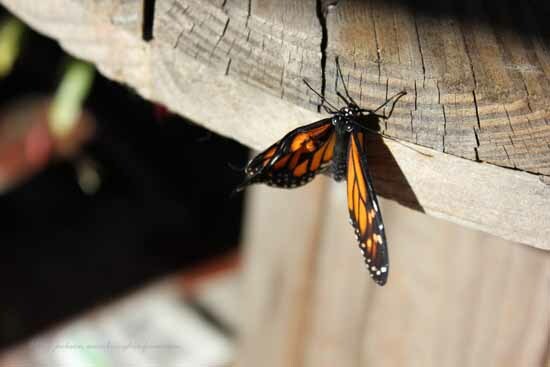 but when another caterpillar begun his own transformation on the plant, I turned my my attention to it. 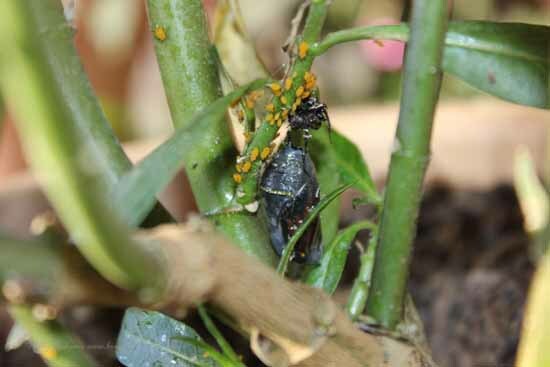 Despite the aphids taking up residence with the chrysalis, one day it happened and I couldn’t believe it. It changed to a see-through shell (pic above) and i could see its delicate wings through the casing. I thought surely it will be hatching soon. It did it did! So Amazing!